Just days after the George Soros-funded Open Society Foundation announced that it had withdrawn from Hungary and relocated to Berlin, Hungarian Prime Minister Viktor Orban accused Soros of fomenting anti-Semitism by aiding immigrants seeking safe harbor in Europe. 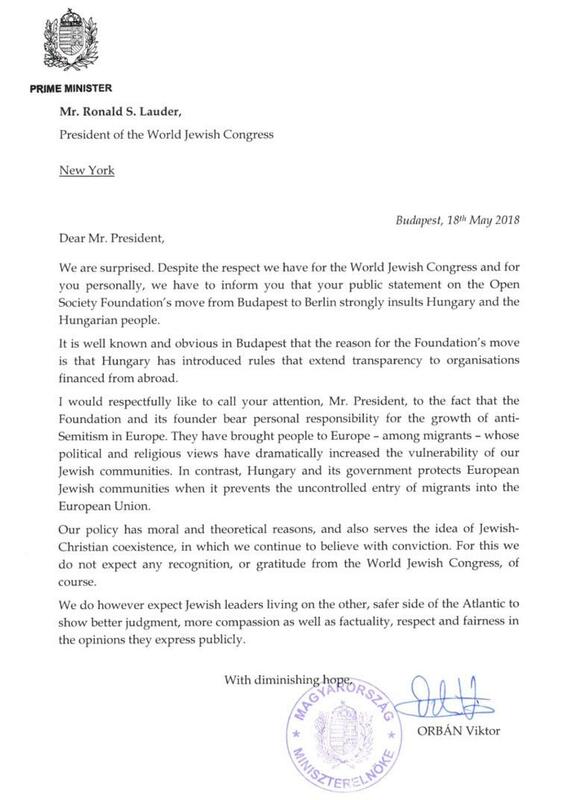 Orban's response was prompted by Lauder's apparent defense of Soros. In an interview with German newspaper Bild, Lauder expressed concern about the Berlin move saying while he did not agree “with everything that US billionaire George Soros says or does,” but he considered the treatment of a man “who has done so much” in central European countries to spread democracy after the fall of communism to be unworthy. “I would respectfully call your attention... to the fact that the Foundation and its founder bear personal responsibility for the growth of anti-Semitism in Europe. They have brought people to Europe - among migrants - whose political and religious views have dramatically increased the vulnerability of our Jewish communities. In contrast, Hungary and its government protects European Jewish communities when it prevents the uncontrolled entry of migrants into the European Union. Our policy has moral and theoretical reasons, and also serves the idea of Jewish-Christian coexistence, in which we continue to believe with conviction. For this we do not expect any recognition, or gratitude from the World Jewish Congress, of course." Orban won a fourth term as prime minister earlier this year and has become a figurehead of the anti-establishment, anti-immigrant political movement sweeping across much of Europe. Meanwhile, Soros has accused Orban - who once regarded the billionaire as a mentor - of using World War II-era tactics like billboards with anti-semitic images to ratchet up pressure on Soros' organizations. 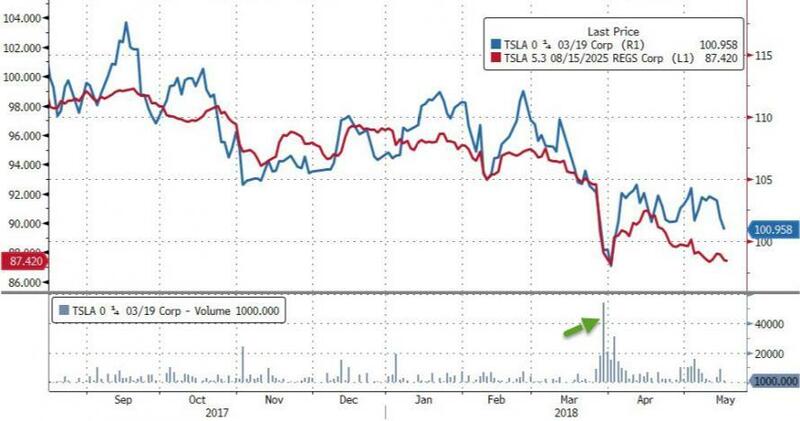 But it looks like Soros has bigger problems, for now at least: Because according to a recent 13-F, his fund recently scooped up a $35 million stake in TSLA convertible bonds.